Please take note of the following events happening this weekend and in the weeks to follow! 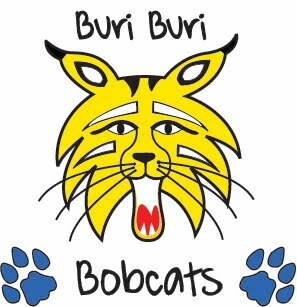 - Buri Buri's Got Talent Show: Friday, April 20 6:30p-8:30p and Saturday, April 21 4p-6p @ Buri Buri Elementary in the MPR. Doors open 1/2 hr prior to beginning of show. Please come support your fellow students who will be performing in the shows. There are 40 acts total, 20 acts each night, so there are no repeat acts! No charge to attend, but bring money for food concession, flower bundles, and candy leis. - Buri Buri PTA General Meeting & Potluck: Thursday, April 26 6:30p-8p at Buri Buri Elementary in the MPR. Join us with a potluck dish (enough to feed about 6 people) of choice for our PTA General Meeting as we debrief some past events and continue to update and plan upcoming events like Year-End Picnics, Movie Night, Teacher Appreciation Week, and vote on nominees for next year's Buri Buri Executive PTA Board! Parents input and help is always appreciated and needed for all events so please plan on joining us! - Teacher Appreciation Week: May 7-11. Your classroom Room Reps will be getting a hold of you with more information on what you can do to show your appreciation to your classroom teachers for all that they do throughout the year! - Movie Night : Tentatively scheduled for Friday, May 4. Movie TBD. If you have any questions or concerns regarding any of our events or meetings, please contact the Buri Buri PTA. Want to help the Earth and not sure what to do? Come join us at Buri Buri Elementary School on April 21, 2018, from 9:00 a.m. to 11:00 a.m. to help our school help the planet. We hope to see you there. Wear comfortable clothes to work in the garden. Come for the whole time, or just a portion. Any help will be much appreciated. Buri Buri Staff and PTA would like to thank you for your generous donations! We are happy to announce that we met our fundraising goal thanks to you! T-shirts and fidget spinners have been ordered and are on their way to the school. We will deliver them as soon as possible. Handouts were sent home today with the Student Fundraising Superstars listed. The top three fundraisers, William, Christopher and James won the Razer Scooter, camera and drone prizes. Mrs. Kaw's class won the top fundraising award $100 prize! Congratulations to all and thank you for your support!